It’s easy to feel a little isolated as a new arrival in a foreign land. 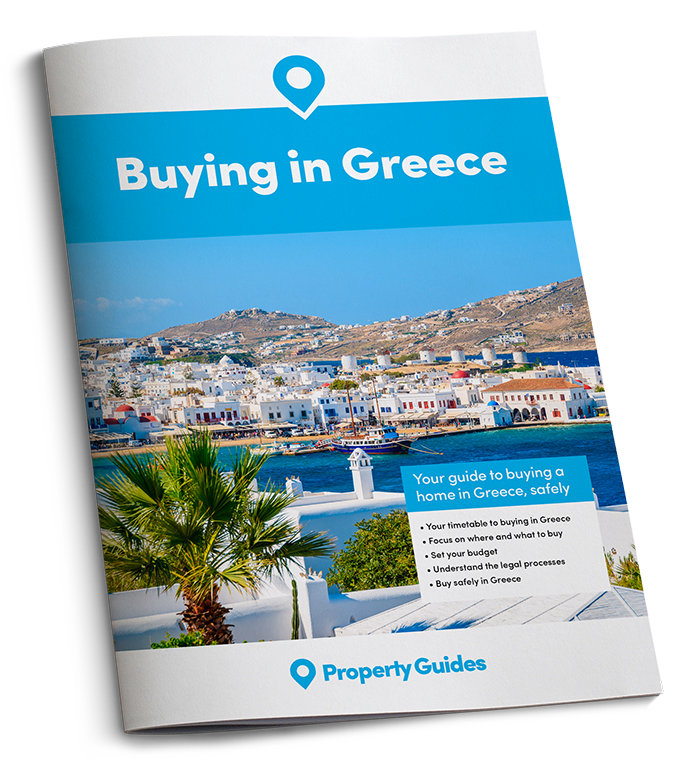 But just as you might advise a newcomer to Britain to pop down their local and get chatting at the bar, so in Greece the café is the place to make friends and watch the day go by. If I had to name the single best thing about living in Greece – the answer would be simple. The friendliness of the people? The warm weather? The sense that you’re treading in the footsteps of gods and legends. Yes, yes, all of that, of course, but mainly it’s the cafes. Open all day from early morning to, well, early morning, simple to navigate and inexpensive, for any new arrival in Greece the kafeneía, often translated as cafeneon, is usually their first introduction to the relaxed and friendly Mediterranean lifestyle. It’s about more than coffee. Just as in the UK where the pub was the centre of village life – and beer the drink of choice because the water was likely to kill you in the olden days – so in any Greek community the café is the hub. Greeks are 15th on the global table of coffee-drinking nations, their 5.5kg average annual coffee consumption twice as much as the UK. Coffee’s first mention in literature by any westerner was in Aleppo in 1573, from whence it spread through the Ottoman empire, to Greece and then on to Austria. While in the UK the rise of the coffee chains has all happened in the past 15 years, in Greece it has happened since the 16th century. We’ve heard a lot about Syrian immigration through the ‘Balkan route’ in the past few months, and coffee drinking followed the same route, from the Sufi monasteries of the Yemen, to Syria and Aleppo. Coffee’s first mention in literature by any westerner was in Aleppo in 1573, from whence it spread through the Ottoman empire, to Greece and then on to Austria. 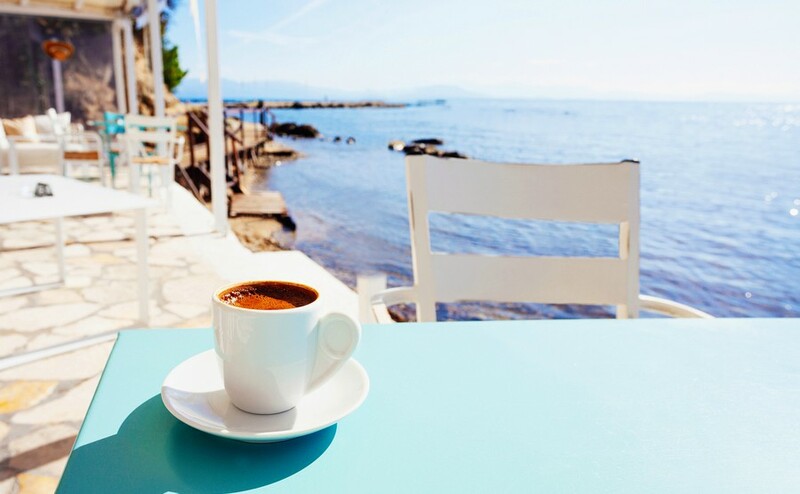 Back in Greece, a true coffee is much like Turkish coffee; roasted Arabica beans ground up and prepared in a small copper pot called a briki then served foaming in a small cup. It’s called ellinikos kafe and you drink it neat, sipping it rather than knocking it back like an espresso because it has a thick sediment at the bottom. It normally comes with sugar, which you specify from metrios (one teaspoon) to glykos, an easy one to remember, meaning two sugars, or variglykos, “very glucose”! For no sugar, ask for it sketo. There is a whole culture and art-form within the serving of coffee, and how you pour the foam is the subject of as much discussion as is whether the milk goes in before or after the tea in England. But hey, discussion is what the cafeneon is all about! Cafes were once the preserve of men, but are now the most popular meeting place for young and old of both sexes. You may prefer the traditional, old-fashioned cafeneon or go for a more modern style, but either way it is easy to get into a conversation or a friendly game of backgammon, especially in the less touristy areas. You will often find people gambling on cards or other games in cafes, particularly around Christmas time when it is traditional. If you prefer a more western – I think we mean American – style of coffee, you used to ask for a French coffee, gallikos, although the word filtrou seems to work just as well. These days most cafes will have cappuccino and espresso on the menu too. In the heat of summer the younger folk end to order a frappé, which was invented in Thessaloniki and rapidly became the most popular way to drink coffee in the 1960s and 70s, made with instant coffee over ice and served with a straw – you can see why the older folk retreated grumbling to the traditional cafeneons! These days the arrival of western coffee chains like Starbucks has not, thankfully ruined café culture. If anything they have improved things, introducing a cold version of “proper” coffee, served cold and with a straw and called espresso or cappucino fredo. 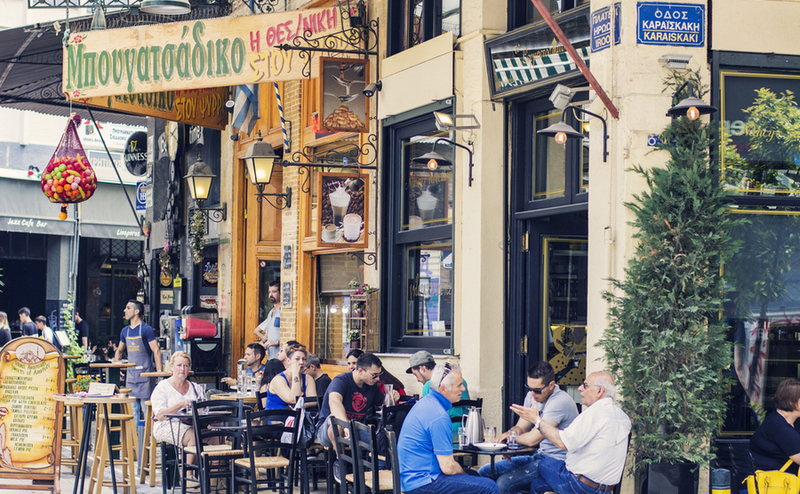 A lot of the fun of living in Greece is sitting in a café, watching the world go by.